Fine hand-made porcelain dolls bring every scene to life. Our lovable grandpa can only be used in a sitting position, as shown in his quiet little place. 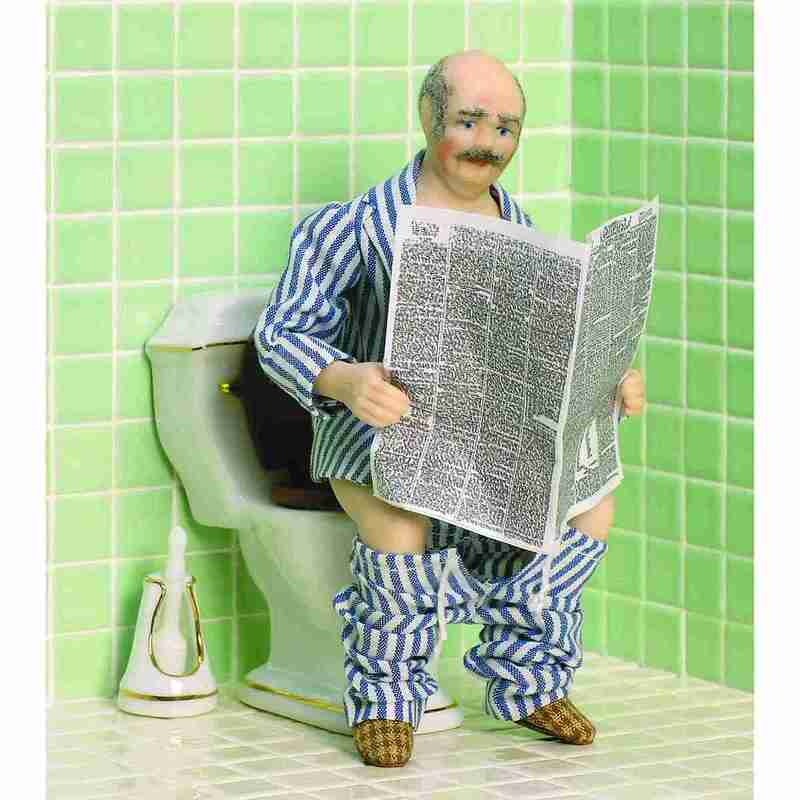 Our grandpa is supplied with the newspaper - but without the toilet shown in the picture. 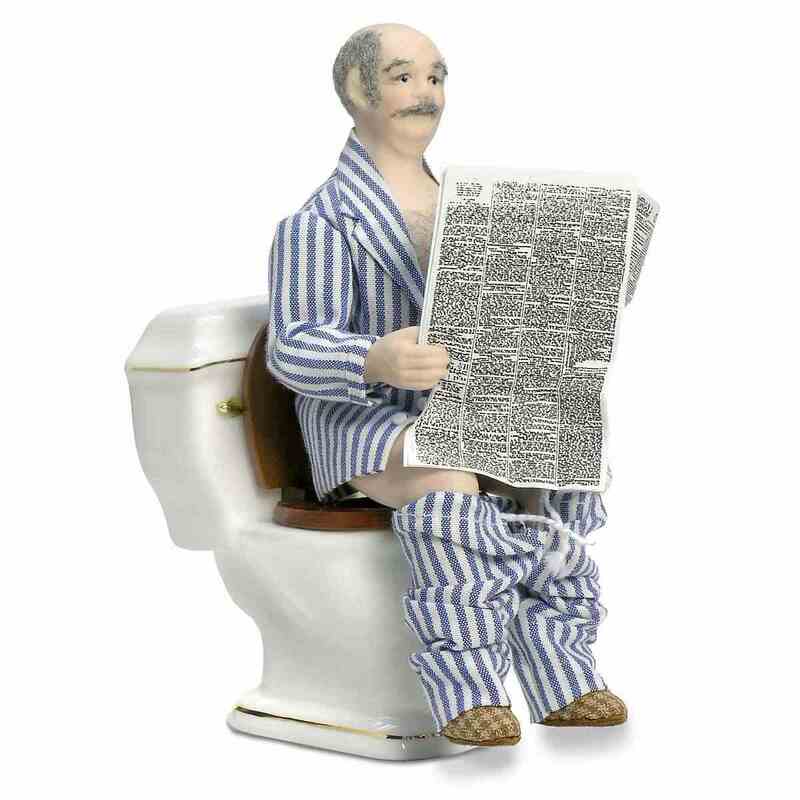 If you would like to allow Grandpa to sit at the breakfast table in his pajamas with his newspaper, then you must first help him by expanding his pants to include a clever cut so that he can also pull them up...we will then all feel better; please believe us. The clothing for our exclusive porcelain dolls was sewn from exquisite fabrics and - with much love of detail - "custom-made" for every single figurine.